In Japan there are many Japanese language schools for foreigners. Among them, only our Academy has got approval doing preparatory education program considering its facilities and curriculum. 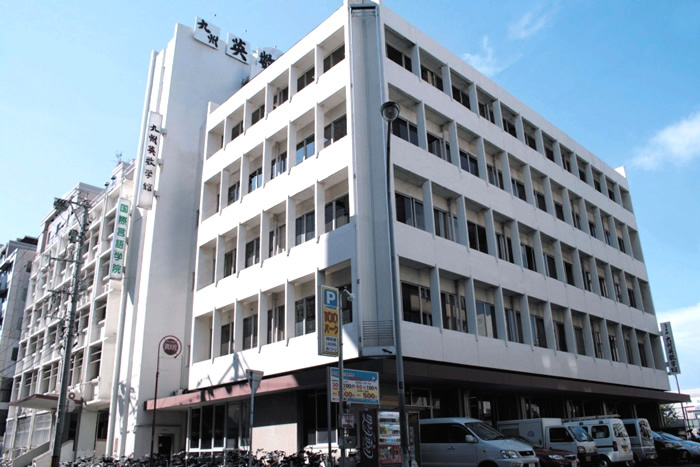 The university preparatory course of our academy is only the designated school in Kyushu. In general the foreign students of language schools are offered one year college student status, but the students of our school get two years college student status. We have 520 students，the highest number among the designated schools in Japan. A school with long history, sufficient facilities and veteran teachers. Kyushu Eisu Gakkan was established in 1951 as a university prep school for Japanese students. In 1991, International Language Academy was established as its part to prepare foreigners for university entrance exam. This academy has also a course for Japanese language teachers training. We have many experienced and hard working teachers. The annual program includes excursion, bus hike, speech contest, sports competition, Christmas party, new year party etc. We have international exchange programs between our students and the citizens of Fukuoka city. 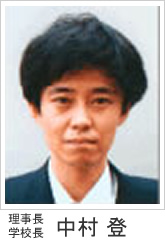 We have also teachers of English and Chinese to deal with the new students who are not yet prepared to speak Japanese. Fukuoka city with one million and three hundred fifty thousand population is growing fast as a core city of Asia. It is the biggest city in western Japan. The second biggest airport of Japan is in Fukuoka, next to Haneda. Nineteen international airliners fly to and from this airport. 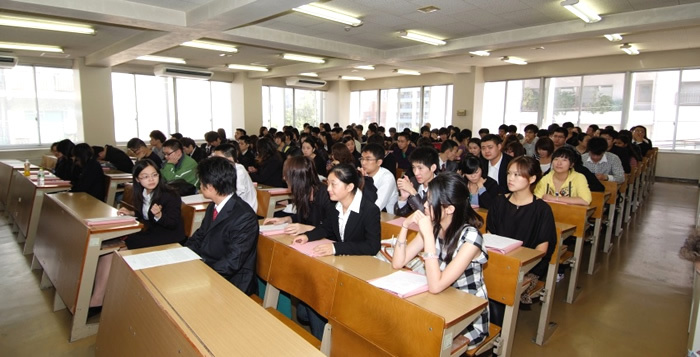 Fukuoka occupies fifth place in terms of the number of foreign students. City services are appreciable. Commodity prices are cheaper than Tokyo. Asia week, a journal published in Hongkong, describes Fukuoka as a number one city in Asia easy to live in. This academy is situated in the center of the city. Therefore it is accessible to cultural facilities, easy to go shopping, and students can lead a comfortable city life in a favorable atmosphere. Because the university preparatory course of this academy has been designated to perform complementary education, the Ministry of Education and Science offer scholarships to the brilliant students. And some local people also give scholarships to some of our students. University preparatory course ( complementary education) has two course: one is April session for two years, and another one is October session for one and a-half years. This academy has a lot of materials relating to university admission and our teachers are ready to give advice and guidance for admission to the higher institutions. About 97% of our students go on to universities every year. We have also Japanese language programs for two years for the students who do not want to go to universities. In the beginning of the 21st century, Japan is internationally expected to contribute in the field of economy as well as culture. 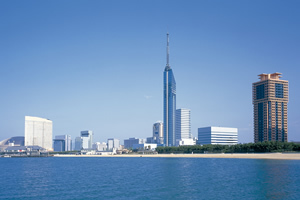 Especially Fukuoka city where this academy is situated is a gateway of Asia and is developing as an international city. Locating in this beautiful atmosphere, this academy invites foreign young people, particularly from Asian countries, and prepares them to get admission into Japanese universities and nourishes knowledge to be required in a university. This academy also aims to diversify Japanese language education, deepens understanding towards Japanese culture and society. This academy further aims to prepare people so that they can respond to the international demand and contribute in the field of international exchange and peace. This academy is looking forward to the young people filled with high ambition and self confidence. I hereby welcome the new students from my heart. Opening of Kyushu Eisu Gakkan International Language Academy (two-year, and one and half-year course for each type of school). 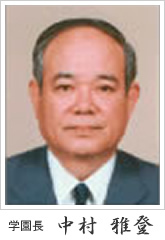 University Preparatory course was affiliated by the Ministry of Education and Science, Japan. University Preparatory course is comprised of Japanese language, Japan affairs and basic subjects (English, Math, Physics and Chemistry for science students and World History for humanities subjects students). Those who want to study in a Japanese university but have not completed 12 years of schooling abroad, can be qualified to apply to the Japanese universities after completion of this course. Also who have completed 12 years of schooling abroad, may enroll into this course to strengthen their knowledge in Japanese, Japan affairs and basic subjects. ①Elementary course teaches everyday conversation, sentence pattern, vocabulary and grammar. ②Intermediate course is made for those who have basic knowledge on Japanese. ③Advanced class is made of those who have finished intermediate level and who want to work as an interpreter after going back home. ・The academy has designed a non-credit course for those who are on short stay (90 days) visa or for the spouses and families of Japanese nationals living in Fukuoka for long time. ・The classes are divided from elementary to advanced level, and the classes are organized according to the aim and level of learning. ・Enrollment period: Principally in April and October Lesson hour: 200 hours a term (5 days a week, from Monday to Friday 4 hours a day) There is option for extension.